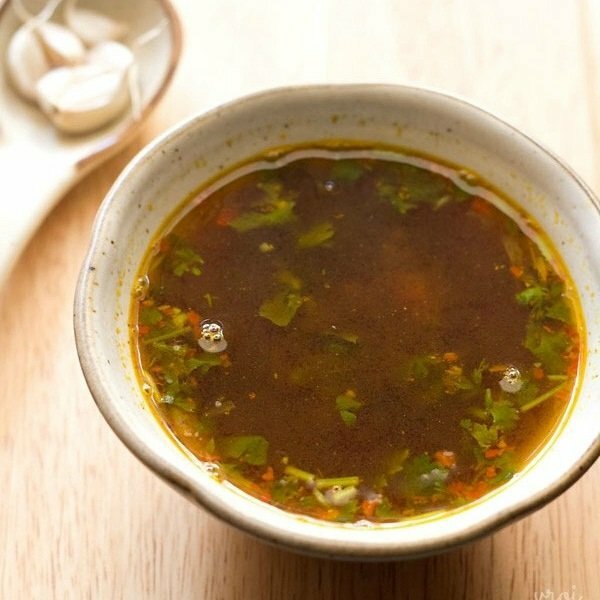 garlic rasam or poondu rasam is a spiced, sour rasam variety seasoned with garlic and spices. 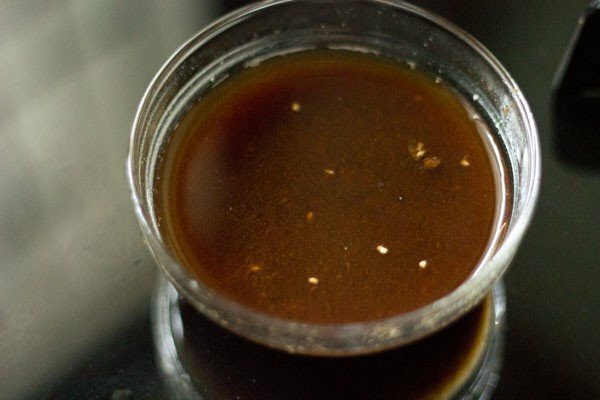 garlic rasam recipe with step by step photos. 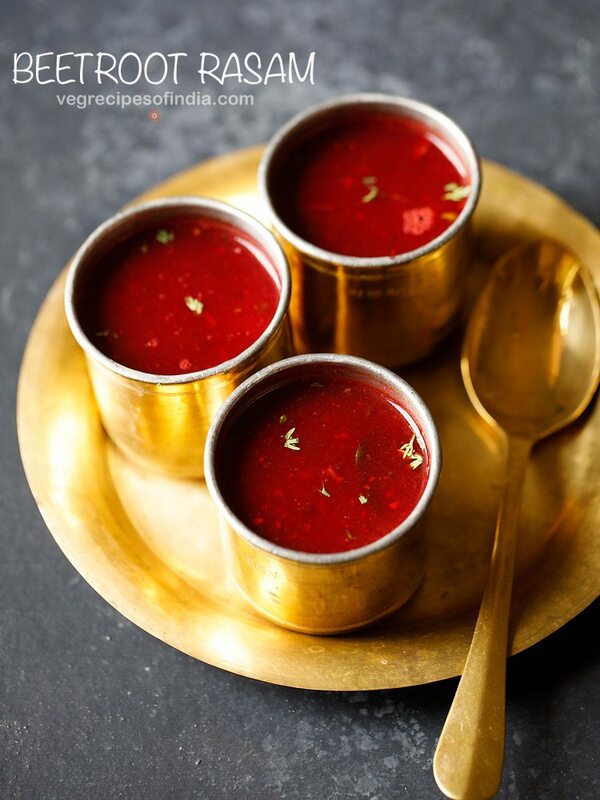 garlic rasam also known as poondu rasam is a spicy, sour rasam tempered with garlic and spices. 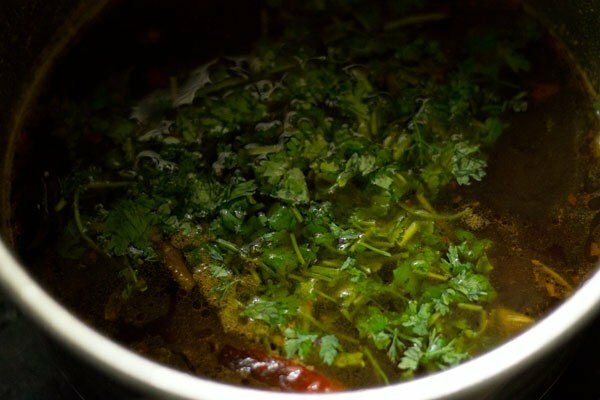 i make rasam on a regular basis and in this rainy cold weather, i prepare rasam often. since rasam is good for cough and cold. i also make rasam on those days, when i want to make a quick, spicy and an easy dish with rice. 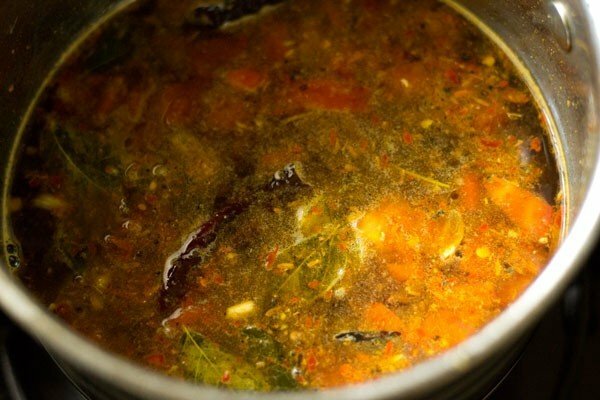 this poondu rasam recipe does not make use of readymade rasam powder and cooked dal (lentils). goes very well with steamed rice. you can also have plain as a soup. 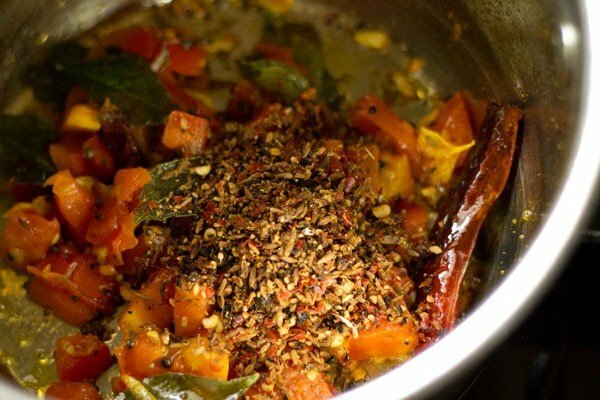 with rasam, i usually serve steamed rice and a veggie roast or any veggie poriyal like carrot poriyal or beetroot poriyal. 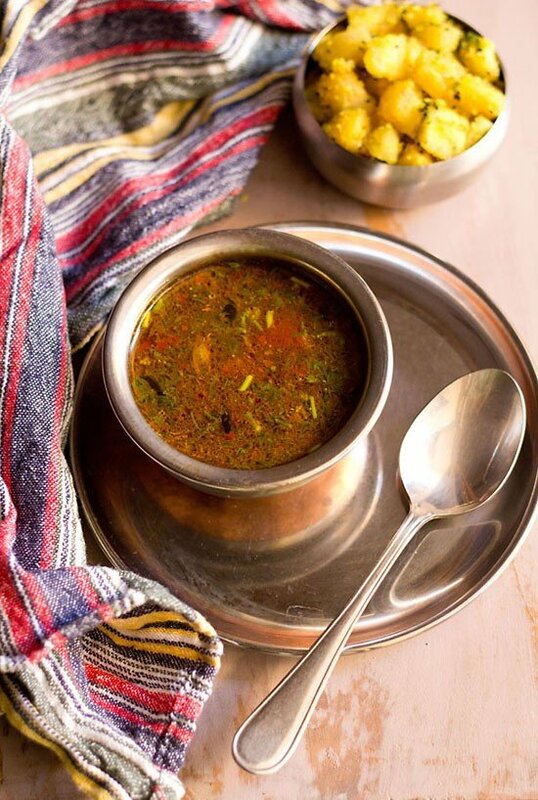 but both steamed rice and rasam is such a comforting meal, that you may not need to have any side dish. heat 1/2 cup water and soak 1 tbsp tightly packed seedless tamarind in it. cover and keep aside for 20 minutes. after 20 minutes, squeeze the softened tamarind very well in the water. keep this tamaraind pulp aside. when the tamarind is soaking, make the ground rasam spice mix. 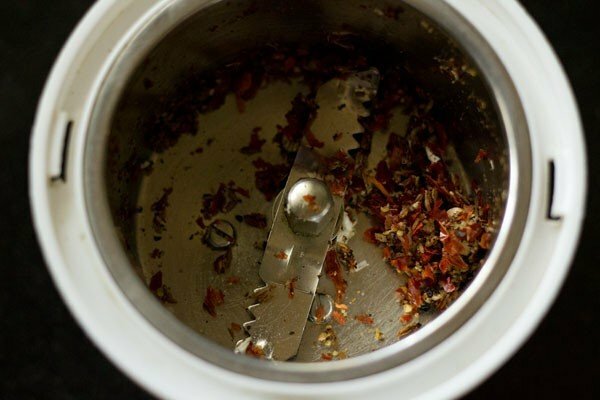 add 1 tsp black pepper, tsp cumin seeds, 2 to 3 garlic cloves and 2 dry red chilies, broken and deseeded in a small dry grinder or spice grinder. grind to a coarse mixture. keep aside. crush lightly 8 to 10 garlic with or without peels in a mortar-pestle. chop or crush the tomato. heat 1 tbsp sesame oil in a pan or pot. 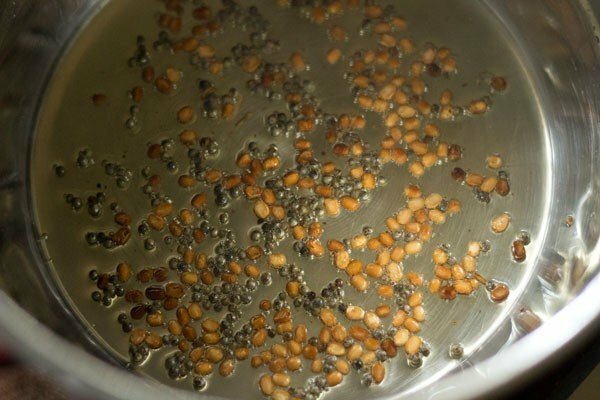 add 1/2 tsp mustard seeds and 1/2 tsp urad dal. saute till the mustard seeds crackle and the urad dal turns to a maroonish color. saute on a low flame. then add 8 to 10 curry leaves, 1 to 2 dry red chilies and the crushed garlic. saute till the garlic turns light brown. then add 1 small to medium tomato (chopped or crushed). also add 1/4 tsp turmeric powder and a pinch of asafoetida. stir and saute till the tomatoes soften. add the ground rasam spice mix. stir very well and saute for a minute on a low flame. now add the tamarind pulp and 1.5 to 2 cups water. season with salt. 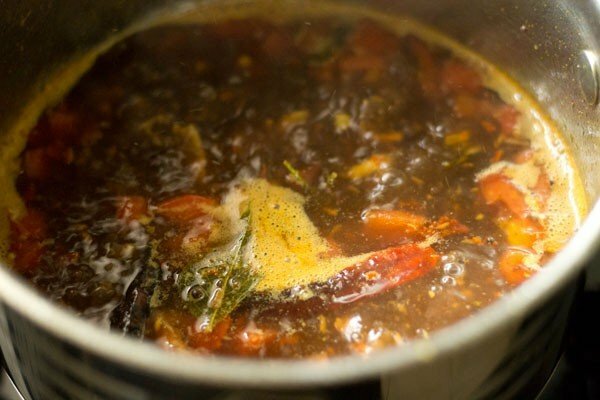 on a medium flame, simmer garlic rasam for 5 to 6 minutes. while adding tamarind pulp, directly strain it with a tea strainer in the pan. when done, switch off the flame and add chopped coriander leaves. 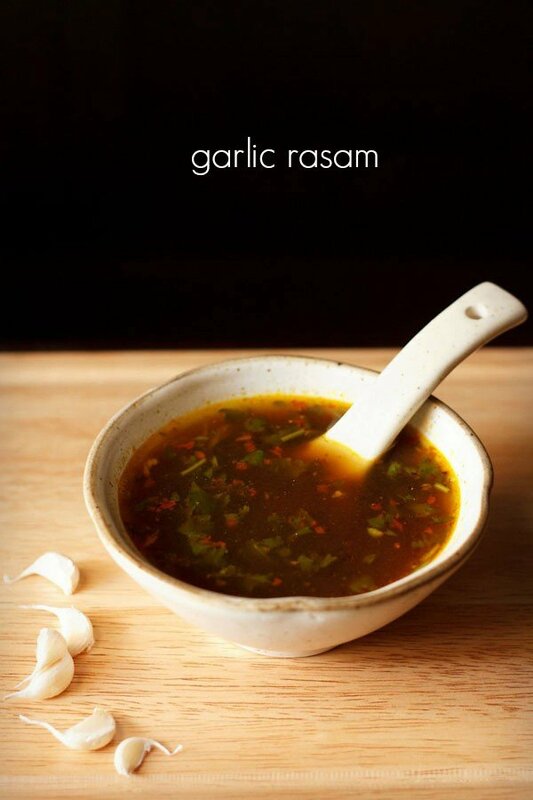 serve garlic rasam hot with some steamed rice. 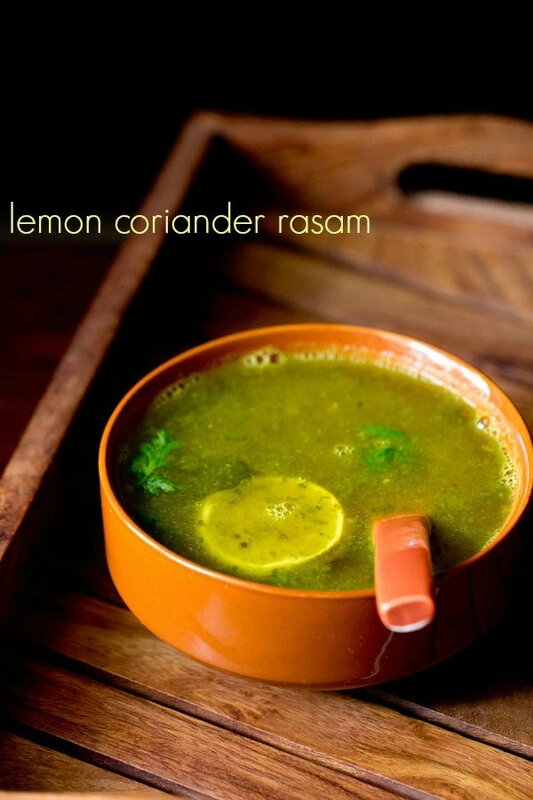 you can also have garlic rasam as a soup. 1. heat ½ cup water and soak 1 tbsp tightly packed seedless tamarind in it. cover and keep aside for 20 minutes. 2. after 20 minutes, squeeze the softened tamarind very well in the water. keep this tamaraind pulp aside. 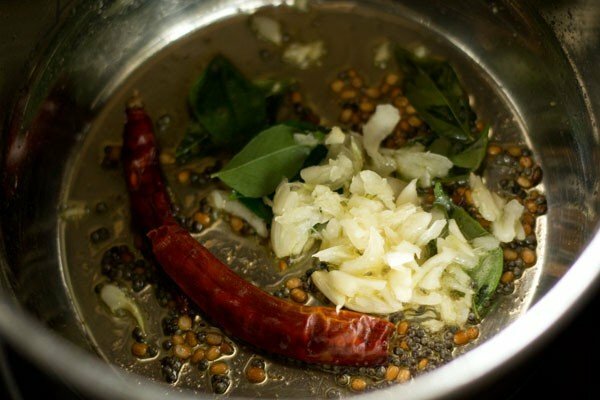 3. when the tamarind is soaking, make the ground rasam spice mix. 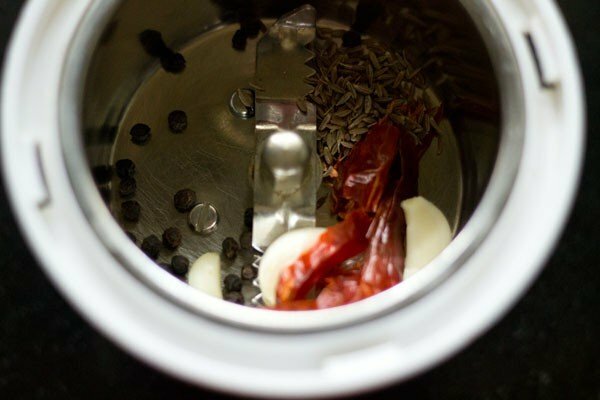 add 1 tsp black pepper, 1 tsp cumin seeds, 2 to 3 garlic cloves and 2 dry red chilies, broken and deseeded in a small dry grinder or spice grinder. 4. grind to a coarse mixture. keep aside. 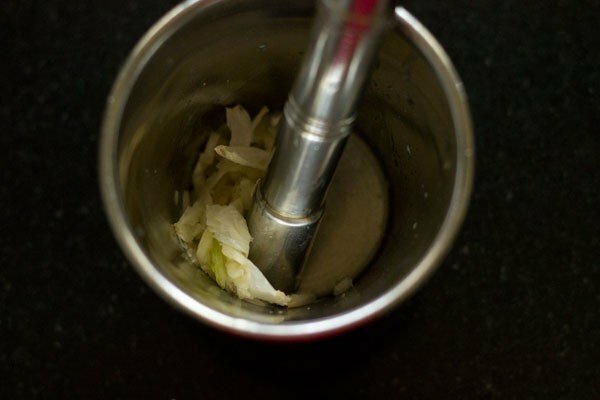 5. crush lightly 8 to 10 medium garlic cloves with or without peels in a mortar-pestle. 6. heat 1 tbsp sesame oil in a pan or pot. 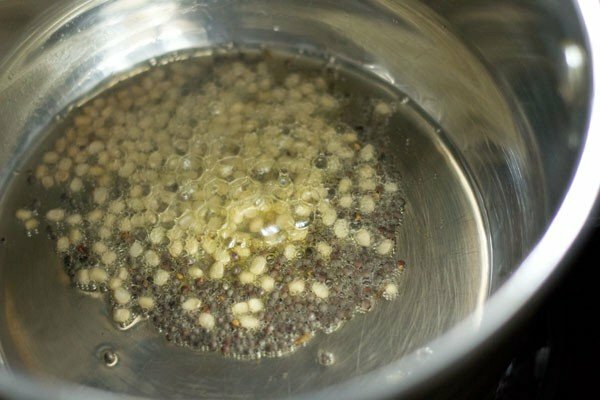 add ½ tsp mustard seeds and ½ tsp urad dal. 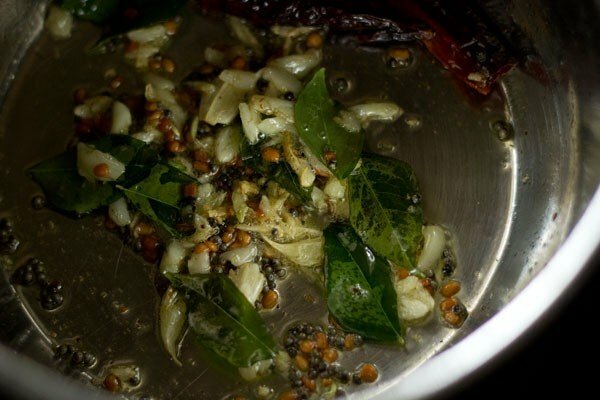 7. saute till the mustard seeds crackle and the urad dal turns to a maroonish color. saute on a low flame. 8. then add 8 to 10 curry leaves, 1 to 2 dry red chilies and the crushed garlic. 9. saute till the garlic turns light brown. 10. then add 1 small to medium tomato (chopped or crushed). also add ¼ tsp turmeric powder and a pinch of asafoetida. 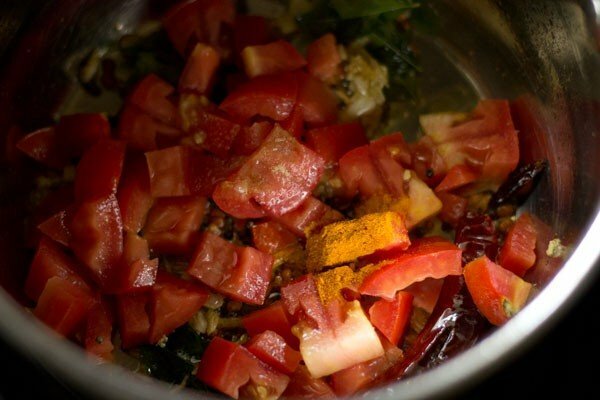 11. stir and saute till the tomatoes soften. 12. add the ground rasam spice mix. stir very well and saute for a minute on a low flame. 13. now add the tamarind pulp and 1.5 to 2 cups water. season with salt. 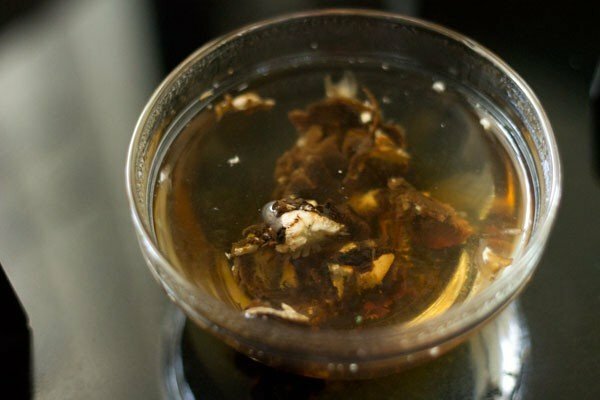 while adding tamarind pulp, directly strain it with a tea strainer in the pan. 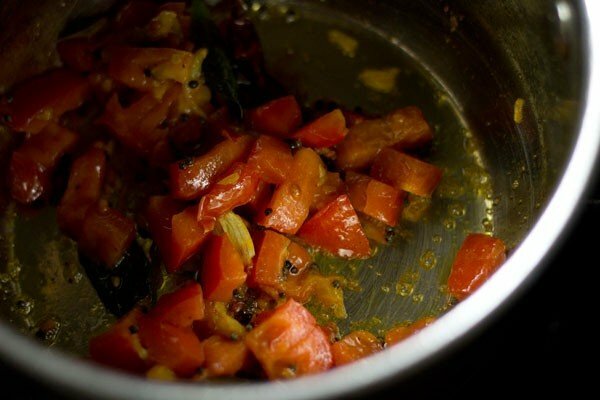 14. on a medium flame, simmer garlic rasam for 5 to 6 minutes. 15. when done, switch off the flame and add 1 to 2 tbsp chopped coriander leaves. 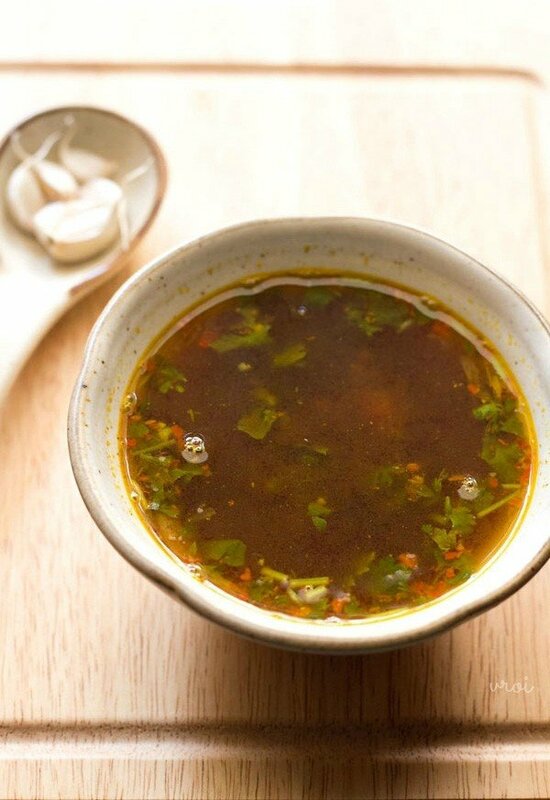 16. serve garlic rasam hot with some steamed rice. 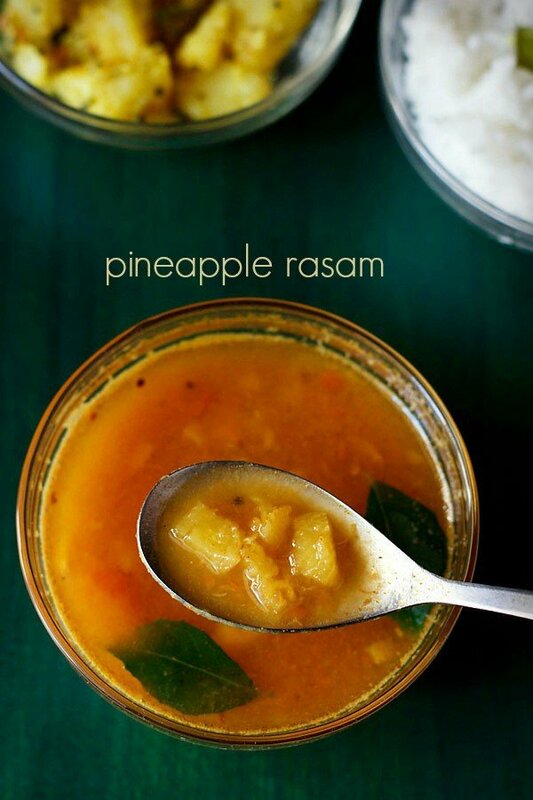 you can also have garlic rasam as a soup. welcome divya and thank you for your positive feedback. Awesome rasam dassana. It’s really awesome. Once in a week I eat rice that too only brown rice. 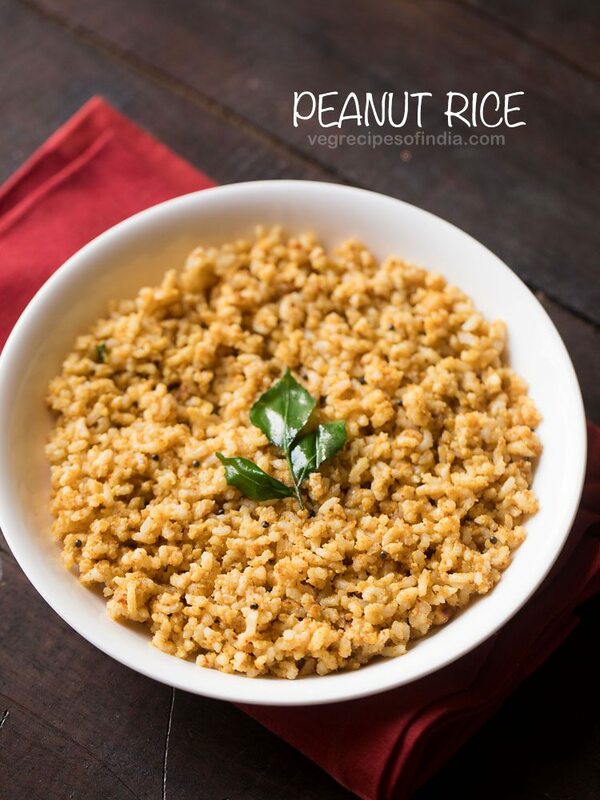 And I don’t like brown rice with sambhar. But today when I prepared this rasam and brown rice with papad omg what a combination . Hmmm loved it. Thanks dassana for the amazing rasam. Hello Dassana Amit. Tried garlic rasam. It came out very good. Thanks for upload. thanks for the positive feedback arul. thankyou sakina for trying so many dishes and for altering them 🙂 glad you liked them. glad to know sanjana you liked the garlic rasam recipe 🙂 and thankyou. welcome pooja. nice to know this. Only thing I do differently is crush all the aromatics in the mortar pestle and hand break chillies and add them all into the hot oil. I also omit tomatoes when I’m feeling lazy 😛 Although urad dal is new to me. 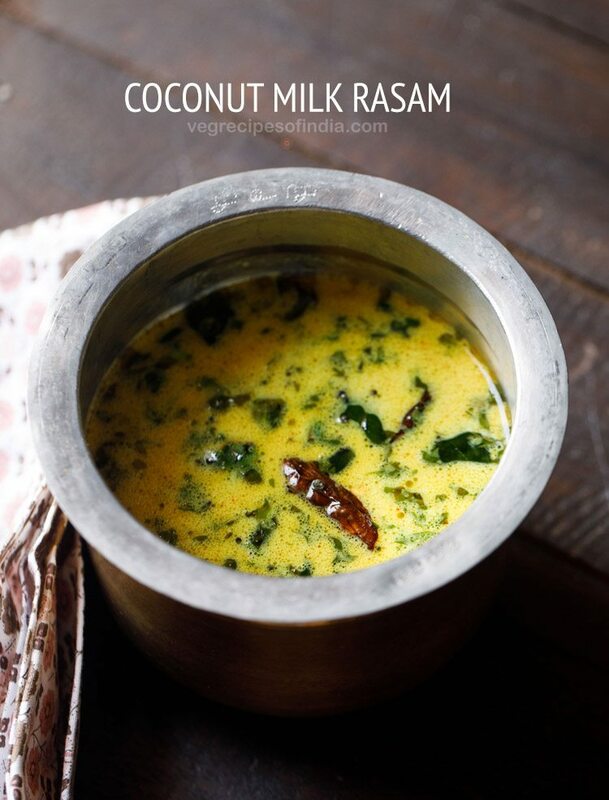 We use it for all other andhra tempering except rasam. On a different note, I love your page. I’ve tried so many of your recipes and have enjoyed making all of them. thanks meghana. i make this rasam like this only. i didn’t know that it was andhra style. also thanks for sharing your tips. I follow your blog very regularly. In this recipe it would have been easier to follow if the tomatoes were mentioned in the list of ingredients as well. thanks. i forgot to add tomato in the ingredient list. have added now. For coarsely ground rasam powder by mistake u wrote 2-3garlic cloves/lavang instead of writing cloves/lavang. Sorry i just wanted to let u knw abt it. thanks riya for letting me know. it is garlic.